The Solovetsky Islands are a unique archipelago in the north of the country, with an unbelievable diversity of landscapes and history. 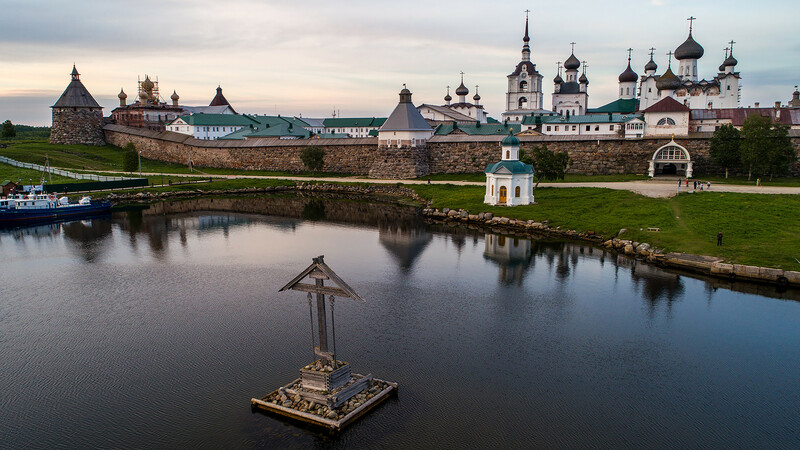 Since the 15th century the Solovetsky Islands, also known simply as Solovki, have been home to one of Russia’s largest monasteries. During the Stalinist era, however, the holy place of worship was turned into a prison camp that was part of the infamous Gulag. Today, the monastery is working again and prayers have returned to the islands. The Solovetsky Islands are situated in the Arkhangelsk Region, not far from the Russian region known as the Republic of Karelia, one of the most beautiful nature zones in the country, and which is full of forests and lakes. Here, you feel the true power of the North, with its gray stones, dwarf plants, mosses and fresh wind. Don’t forget to bring mosquito nets and thermal underwear – you will need it even in summer. Solovki is becoming a more popular tourist destination. This place is perfect both for historical sightseeing and hiking. There are several small hotels next to the monastery, but there also many places to put a tent. Rent a bike and explore the surrounding area, take a motorboat to other islands, or paddle across the main island’s lake system.